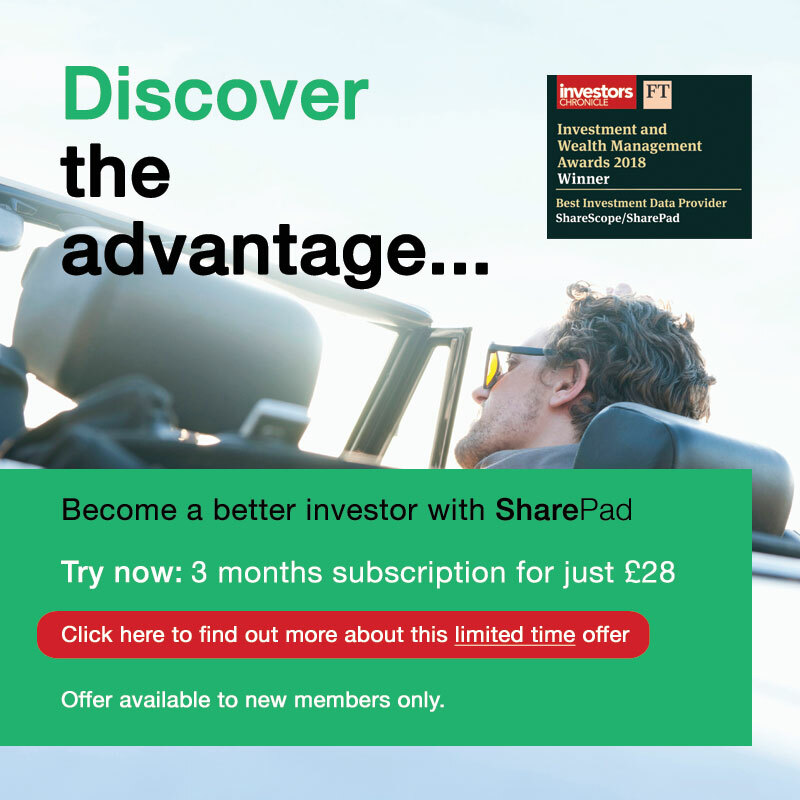 If you’ve been investing in individual shares for a while then you’ve probably gone through the experience of losing some money on one or more of them. It’s a horrible feeling that happens to the best investors. You’d rather it hadn’t happened but the lessons you can learn from it can be invaluable in making you a better investor. The problem is that many investors spend lots of time thinking about how much money a share could make them without giving enough thought about how much it could lose them. When you are investing to build up a pot of money for the future, avoiding big losses is just as important as picking big winners. This is because big losses are very difficult to recover from as shown in the table below. The bigger the fall in value of a share or portfolio, the bigger the subsequent increase in value that is needed to just get back to where you started. A portfolio with just a few bad companies and shares can decimate your investment returns. It’s always easy to be wise with the benefit of hindsight and see how you could have spotted signs of trouble, but there are some simple rules that you can follow that give you a good chance of staying away from problem companies and their shares. Here’s a list of things to consider before buying a single share of a company. Most of this is just common sense, but I’ve found that they are good ways of staying clear of trouble. Do you understand what the company does? If you can’t explain to a friend what a company does and how it makes money then you really shouldn’t own any shares in it. To give yourself even more protection, you should also ask what the company does that others cannot. For example, lots of businesses can sell things like food and drink which is why they don’t tend to be very profitable. Very few companies can make and sell premium consumer goods brands that sell across the world or make niche manufactured goods that solve specific problems. These businesses are often very profitable and have made good long-term investments. It’s very easy to be attracted to the possibility of a loss-making company going on to make huge profits in the future. These companies do exist and can make fortunes for investors but in far too many cases, the hope of future riches is often built on shaky foundations and never materialises. Investing in consistently profitable companies lowers your risk of getting your fingers burned. 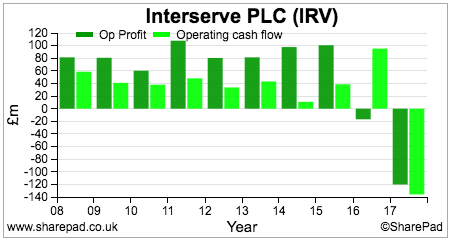 Profits growth is the main driver of share prices over the long run. You can have a very solid and profitable business but without the prospect of higher profits in the future you are unlikely to make serious money unless of course the shares of the business are very undervalued. 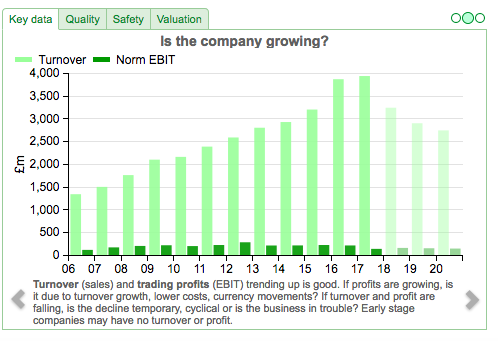 A lack of profits growth is not a very desirable characteristic. What is worse is the possibility of shrinking profits. Companies with shrinking profits will often do their best to stem the tide by developing a convincing turnaround strategy but many fail in this task. Staying away from companies with shrinking profits is usually a good idea. 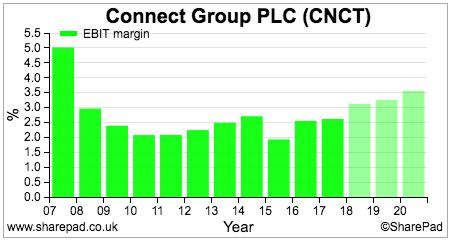 Bus and rail operator Stagecoach (LSE:SGC) has been struggling to grow its profits in recent years as shown in the chart below. This situation is not expected to improve any time soon. Very few companies with thin profit margins – less than 5% – make good investments (amazon.com is perhaps an exception to this rule). Low profitability is usually a sign of a company operating in a very competitive industry or one where its customers have a lot of buying power. 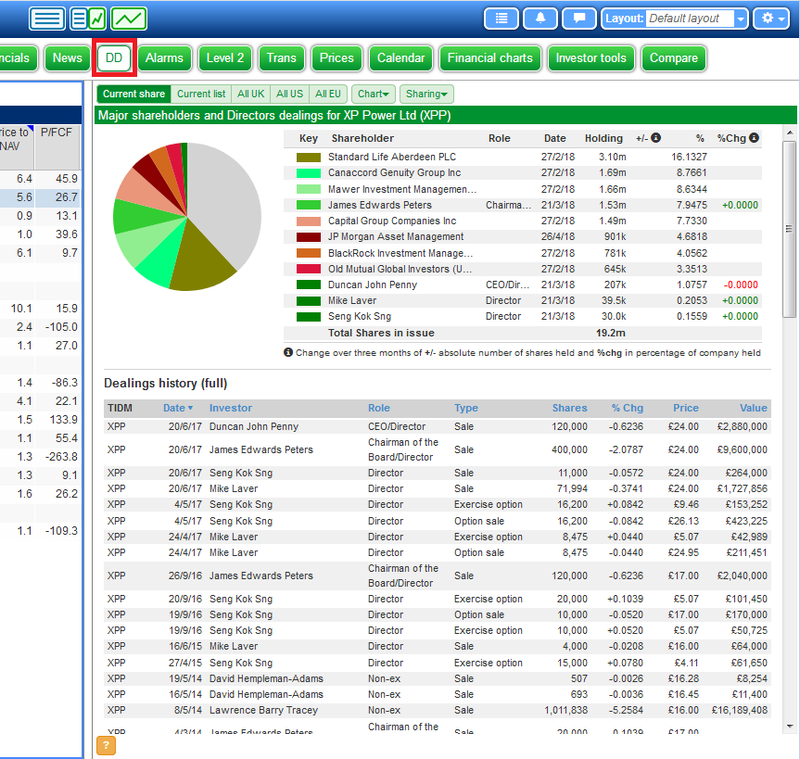 Connect Group (LSE:CNCT) – a distributor of newspapers, magazines and parcels – is a good example of a struggling low margin business. The more debt a company has, the more risk its shareholders tend to face. This is because shareholders always get paid last. Debts don’t just include borrowed money but other liabilities such as pension fund deficits and rented or leased assets. The more debt a company has, more of its profits tend to get eaten up with interest payments. This means there is less money left over for shareholders. If a company’s trading profits take a tumble, sometimes there can be no money left for shareholders at all. One of the best ways to see if a company has too much debt is to look at the ability of its profits to cover the interest payments on debts and rents – something known as fixed charge cover. 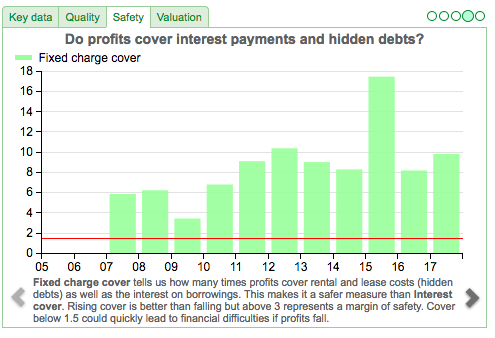 The chart below shows the fixed charge cover of InterContinental Hotels (LSE:IHG) which does not have a debt problem. One of the biggest red flags that something might not be quite right with a business is if it has very poor cash flow. As a bare minimum, a company should convert its operating profits into operating cash flow more often than not. If it doesn’t then it could be a sign that its profits might not be as believable as they appear to be. Poor cash conversion has often been seen with very fast-growing companies. Sometimes there is nothing to worry about as the company has higher levels of sales on credit as it grows. In other cases, it can be a sign of aggressive accounting and fictitious profits. Interserve (LSE:IRV) has not been very good at converting its profits into cash. Is the company recession resilient? Some companies only do well when the economy or its industry is doing well. For the ill-informed, temporary prosperity can be seen to be permanent when it is not. You should study a company’s profitability over an economic or industry cycle – at least ten years – to see if its profits might be able to keep on growing or could soon run out of legs. One of the best things to look at is the history of a company’s profit margins. 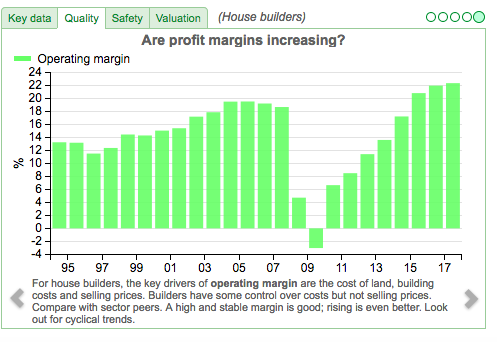 The chart below shows the history of house builder Bellway’s margins. We can see that they are at a record high. This does not mean that they cannot keep increasing but it might be a sign that they are close to being as good as they will be. Paying too high a price for a share can increase your chances of losing money if a business deteriorates or doesn’t grow as fast as people expect. It is perfectly acceptable for very good businesses to be valued highly by the stock market. Looking at a commonly used measure of valuation such as the price to earnings (PE) ratio, a value of 30 times or more is usually considered to be very high. What this means in reality is that investors expect profits to grow rapidly in the future. If they do not, share prices can fall a long way and investors can lose lots of money. That doesn’t necessarily mean that shares with low valuations are less risky. It may just be a sign of a very poor business that is in a bad way with little scope for improvement. These shares are affectionately known as value traps – shares that are cheap because they deserve to be. Does management have skin in the game? You should always be wary of investing in companies where key management (usually the chief executive and finance director) own very few shares or have been selling lots recently. 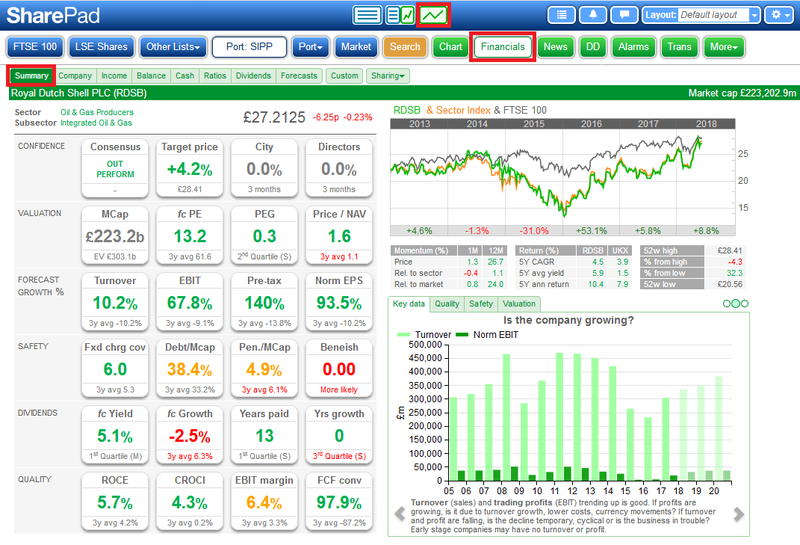 As SharePad is packed full of data and useful tools you can get answers to most of these questions in seconds. 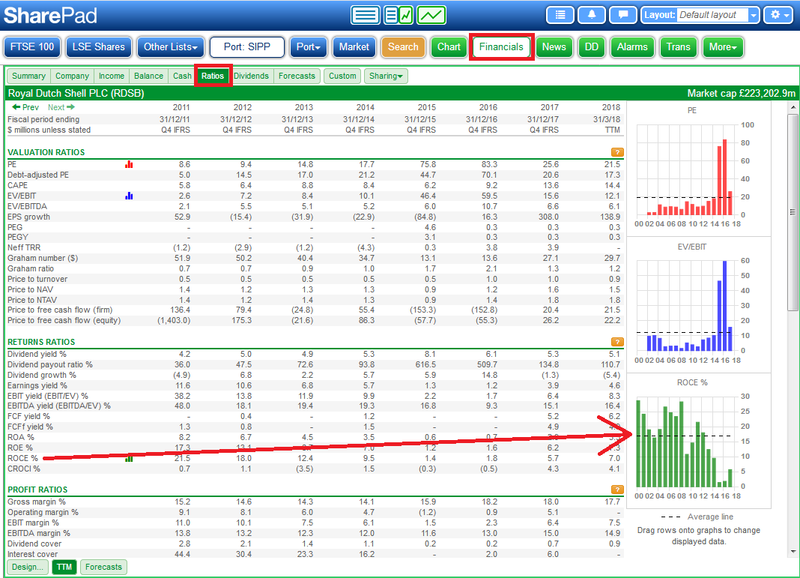 The best way to do this is by looking at the financial charts carousel which is found on the Summary tab of the Financials view. On smaller screens, you may need to scroll down to see this – or use full screen mode. Watch the short tutorials within SharePad. Click on the Settings button in the top right corner of SharePad to access these. 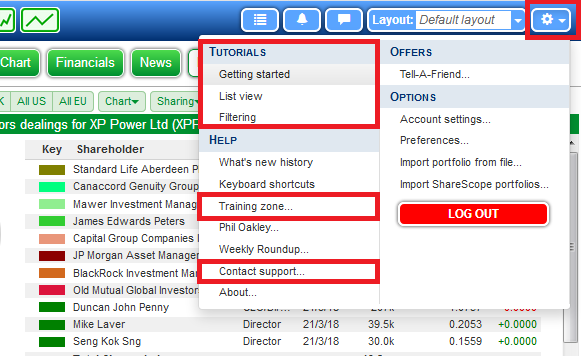 Also on this menu, you’ll find a link to the SharePad Training Zone on our website which includes dozens of tutorials. Lastly, call our customer support team – they’ll be pleased to help. You’ll find their number via this menu as well.